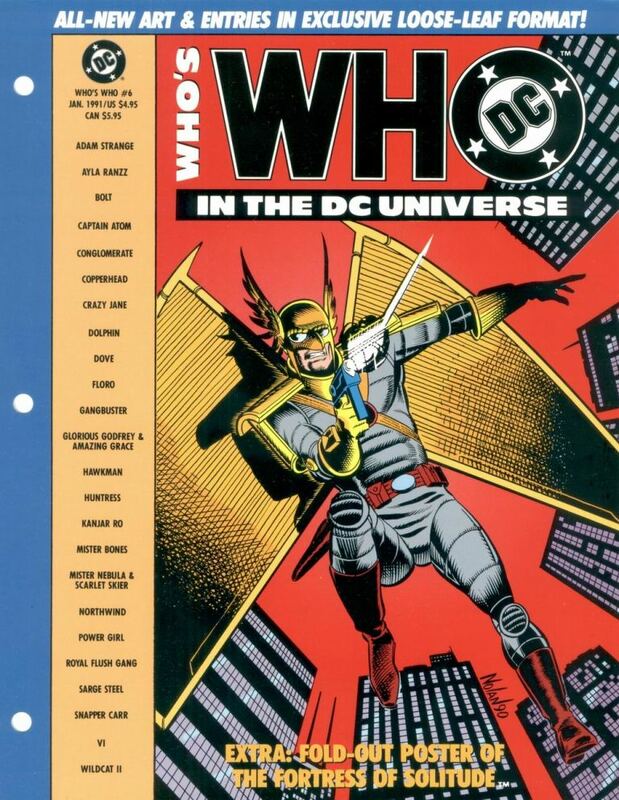 Hosted by Rob Kelly and The Irredeemable Shag, this podcast honors the classic DC Comics series WHO'S WHO: THE DEFINITIVE DIRECTORY OF THE DC UNIVERSE from the 80s and 90s, one page at a time! Part of the FIRE AND WATER PODCAST NETWORK! 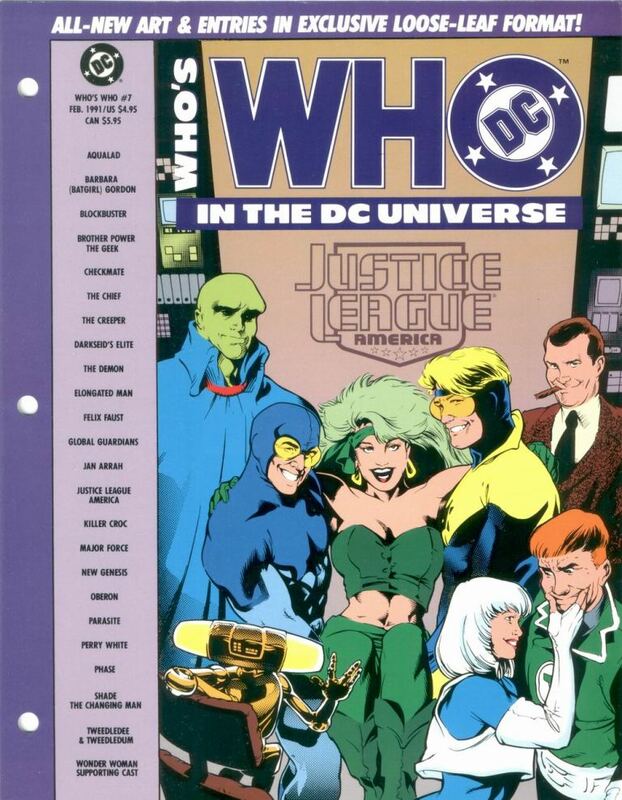 It’s the eighth amazing issue of WHO’S WHO IN THE DC UNIVERSE featuring Byth, Captain Comet, Death, Green Lantern John Stewart, Kent Shakespeare, Lobo, Monsieur Mallah and The Brain, The Phantom Stranger, The Spectre, Raven, and more! Plus YOUR Listener Feedback! Our fantastic themes are by Daniel Adams and Ashton Burge with their band The Bad Mamma Jammas! http://www.facebook.com/BadMammaJammas. Images for WHO’S WHO IN THE DC UNIVERSE #8! Click each image to enlarge! Leave your comments over on the podcast post by clicking here! 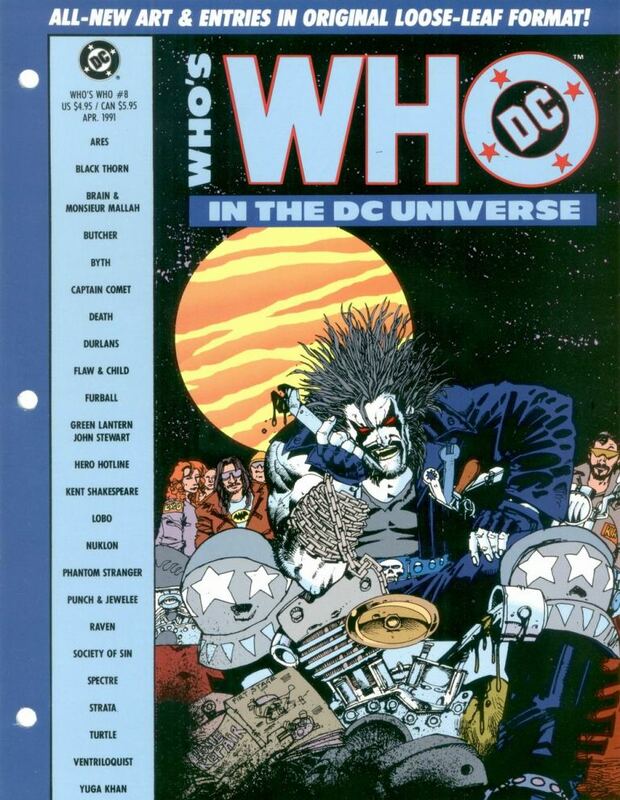 Who’s Who in the DC Universe #8 cover featuring Lobo by Simon Bisley! It’s the seventh sizzling issue of WHO’S WHO IN THE DC UNIVERSE featuring Aqualad, Barbara Gordon, Brother Power the Geek, The Chief, The Creeper, The Elongated Man, Justice League America, Killer Croc, Perry White, Shade the Changing Man, and more! Plus YOUR Listener Feedback! Images for WHO’S WHO IN THE DC UNIVERSE #7! Click each image to enlarge! Leave your comments over on the podcast post by clicking here! Who’s Who in the DC Universe #7 cover featuring Justice League America by Adam Hughes and Karl Story! It’s the sixth sensational issue of WHO’S WHO IN THE DC UNIVERSE featuring Adam Strange, Ayla Ranzz, Captain Atom, Copperhead, Crazy Jane, Dove, Hawkman, The Huntress, Power Girl, Snapper Carr, and more! Plus YOUR Listener Feedback! Images for WHO’S WHO IN THE DC UNIVERSE #6! Click each image to enlarge! Leave your comments over on the podcast post by clicking here! Who’s Who in the DC Universe #6 cover featuring Hawkman by Graham Nolan! 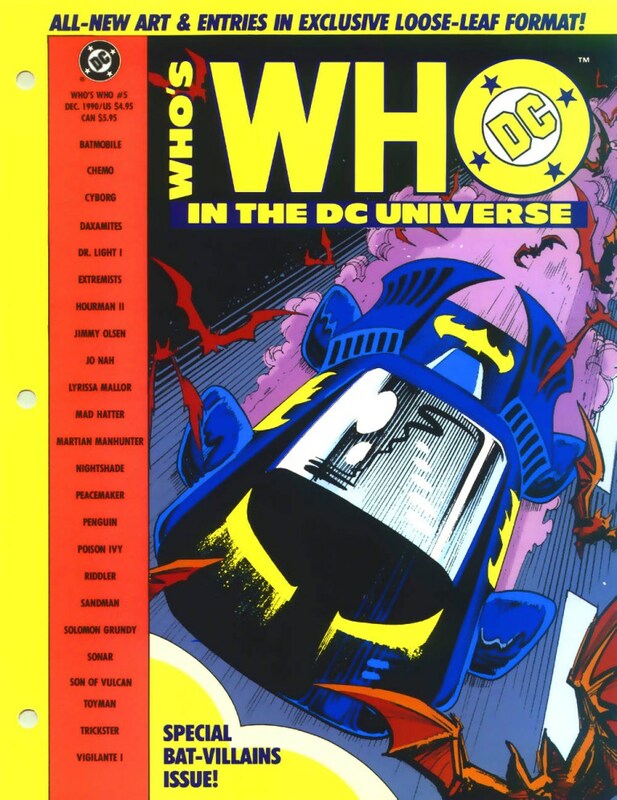 It’s the fifth fabulous issue of WHO’S WHO IN THE DC UNIVERSE featuring the Batmobile, Cyborg, Dr. Light, Hourman, Jimmy Olsen, Martian Manhunter, The Penguin, Poison Ivy, The Riddler, Sandman, The Vigilante, and more! Plus YOUR Listener Feedback! Our fantastic opening theme is by Daniel Adams and Ashton Burge with their band The Bad Mamma Jammas! http://www.facebook.com/BadMammaJammas. Closing music by Hindu Love Gods. Special thanks to Xum Yukinori. Images for WHO’S WHO IN THE DC UNIVERSE #5! Click each image to enlarge! Leave your comments over on the podcast post by clicking here! Who’s Who in the DC Universe #5 cover featuring the Batmobile by Norm Breyfogle! In this Who’s Who “best of” special, we present all the classic character entries featuring members of the Aquaman Family–Aquaman, Aqualad, Mera, Black Manta, Ocean Master, and more! Our fantastic opening theme is by Daniel Adams and Ashton Burge with their band The Bad Mamma Jammas! http://www.facebook.com/BadMammaJammas. Closing Music by Filmation. 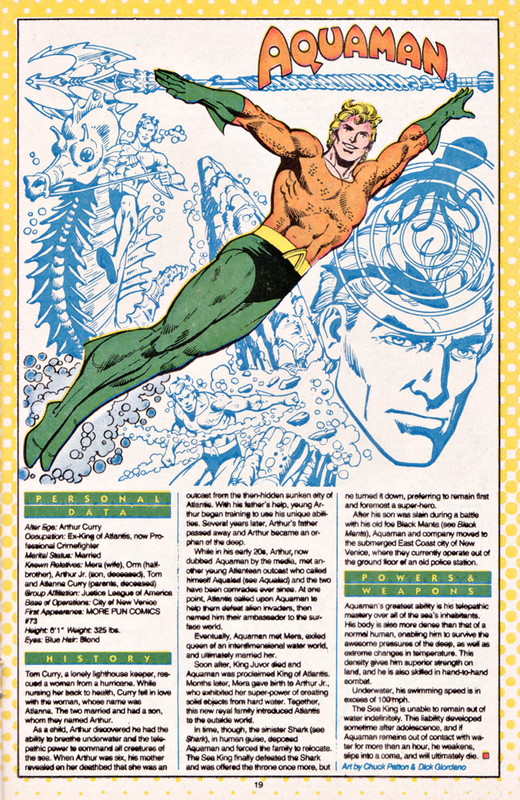 Images for WHO’S WHO SPECIAL – THE AQUAMAN FAMILY! Leave your comments over on the podcast post by clicking here!